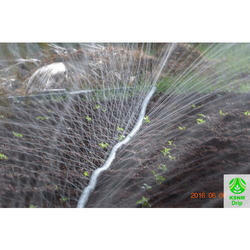 Rain pipe / rain hose is meant for spray irrigation system. Wall thickness is 350 micron and diameter is 40 mm. Its very easy to install and maintain. We are offering our customer a wide range of 16mm Irrigation tube, which are manufactured from high grade quality raw materials. These 16mm Irrigation tube are widely known for its durability and quality. These 16mm Irrigation tube are available at industrial leading price. 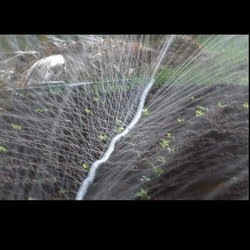 Drip holes are formed in the tape with spacing of 12 inch, 18 inch, 24 inch, 30 inch. Customized drip hole spacing can be manufactured. Discharge rate is approximately 8 litre per hour. Drip tape is meant for above ground laying. It can not be used in sub surface. Rain hose – innovation from ksnm R&D – we are committed for small and marginal farmers. 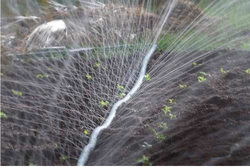 Our low cost drip irrigation solution removes the technology and cost entry barrier for poor farmers.